I am writing to you to let you know about a passionate new play 'Tinned Goods' that is visiting Nottingham Arts Theatre next week on 1st April 2016. 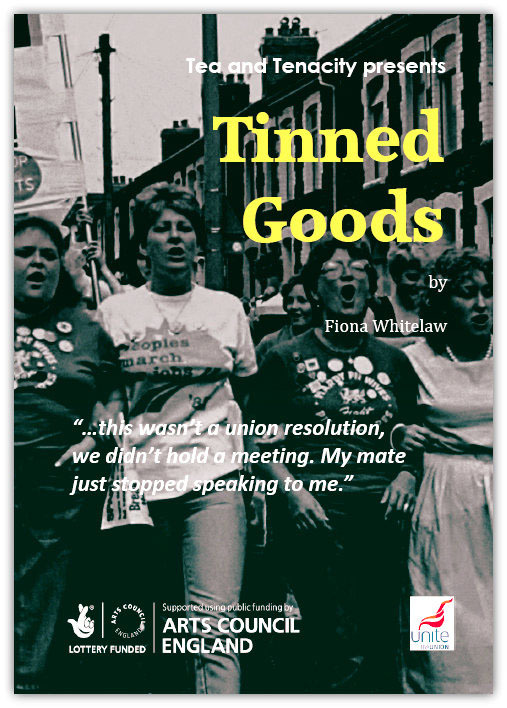 'Tinned Goods' is set during the miners strike and is from the women's perspective telling the story of two friends whose friendship and community has been torn apart by the strike. Passionate, uplifting and with a fabulous ensemble cast it promises to entertain and inspire in equal measure. 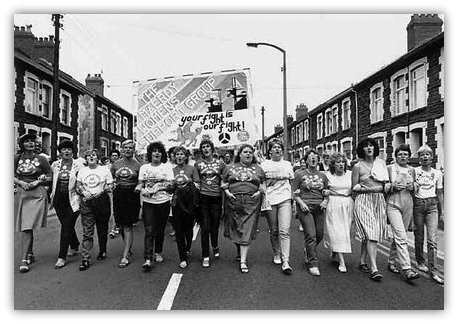 We hope that the play will inspire audiences to become politicised and united against those who seek to take away their rights and as well as learn about one of the most bitter strikes in British history, from the women's perspectives. Judging from audience responses so far, it really is worth watching. Ex miner and union activist Graham Fletcher wrote in an email to me following the performance: "it was powerful and professional. It also captured the mood and drama of those events during the miners political fight. As I said on the night, I have the T: Shirt, the scars and the spilt blood, so I am quite well placed to make a judgement." GMB union members wrote on social media that it was "a great night, brilliant play." Sue and Rachel have not spoken since the miners walked out three months earlier. With their friendship suffering under the strain of politics, picket lines and principles, forgotten wrongs resurface and loyalties are pushed to the limit. In this tight-knit town, as the miners’ wives move from background to centre-stage, can the women find a voice in a battle to save their relationships and their way of life? With kind support from Unite the Union and the Arts Council England.